Each generation, since the beginning of human existence, has sought to pass on cultural and social values, traditions, morality, religion and skills to the next generation. The passing on of culture is also known as enculturation and the learning of social values and behaviours is socialization. The history of the curricula of such education reflects human history itself, the history of knowledge, beliefs, skills and cultures of humanity. In pre-literate societies, education was achieved orally and through observation and imitation. The young learned informally from their parents, extended family and grandparents. At later stages of their lives, they received instruction of a more structured and formal nature, imparted by people not necessarily related, in the context of initiation, religion or ritual. As the customs and knowledge of ancient civilizations became more complex, many skills would have been learned from an experienced person on the job, in animal husbandry, agriculture, fishing, preparation and preservation of food, construction, stone work, metal work, boat building, the making of weapons and defenses, the military skills and many other occupations. With the development of writing, it became possible for stories, poetry, knowledge, beliefs, and customs to be recorded and passed on more accurately to people out of earshot and to future generations. 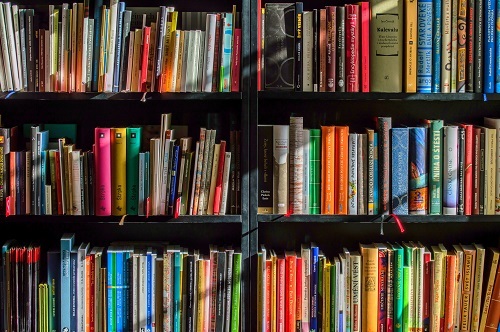 In many societies, the spread of literacy was slow; orality and illiteracy remained predominant for much of the population for centuries and even millennia. Literacy in preindustrial societies was associated with civil administration, law, long distance trade or commerce, and religion. A formal schooling in literacy was often only available to a small part of the population, either at religious institutions or for the wealthy who could afford to pay for their tutors. The earliest known universities, or places of higher education, started teaching a millennium or more ago. Universal education of all children in literacy has been a recent development, not occurring in many countries until after 1850 CE. Even today, in some parts of the world, literacy rates are below 60 per cent (for example, in Afghanistan, Pakistan, Bangladesh). Schools, colleges and universities have not been the only methods of formal education and training. Many professions have additional training requirements, and in Europe, from the Middle Ages until recent times, the skills of a trade were not generally learnt in a classroom, but rather by serving an apprenticeship. Nowadays, formal education consists of systematic instruction, teaching and training by professional teachers. This consists of the application of pedagogy and the development of curricula. Most of human history lies in pre-history, the period before the use of writing, and before written history. Throughout pre-history, most education was presumably achieved orally and through observation and imitation. Traditions, beliefs, values, practices and local knowledge was passed orally for generations from person to person. Some forms of traditional knowledge were expressed through stories, legend]s, folklore, rituals, and songs, without the need for a writing system. Tools to aid this process include poetic devices such as rhyme and alliteration. These methods are illustrative of orality. The stories thus preserved are also referred to as part of an oral tradition. Before the development of writing, it is probable that there were already epic poems, hymns to gods and incantations (such as those later found written in the ancient library at Ninevah, and the Vedas), and other oral literature (for example, see ancient literature). “He who is possessed of supreme knowledge by concentration of mind, must have his senses under control, like spirited steeds controlled by a charioteer,” says the Katha Upanishad (iii, 6). From the Vedic age downwards the central conception of education of the Indians has been that it is a source of illumination giving us a correct lead in the various spheres of life. Knowledge, says one thinker, is the third eye of man, which gives him insight into all affairs and teaches him how to act. (Subhishitaratnasandhoha p. 194). Learning in India through the ages had been prized and pursued not for its own sake, if we may so put it, but for the sake, and as a part, of religion. (It was sought as the means of self-realization, as the means to the highest end of life. viz. Mukti or Emancipation. Ancient Indian education is also to be understood as being ultimately the outcome of the Indian theory of knowledge as part of the corresponding scheme of life and values. The scheme takes full account of the fact that Life includes Death and the two form the whole truth. This gives a particular angle of vision, a sense of perspective and proportion in which the material and the moral, the physical and spiritual, the perishable and permanent interests and values of life are clearly defined and strictly differentiated. Of all the people of the world the Hindu is the most impressed and affected by the fact of death as the central fact of life. The individual’s supreme duty is thus to achieve his expansion into the Absolute, his self-fulfillment, for he is a potential God, a spark of the Divine. Education must aid in this self-fulfillment, and not in the acquisition of mere objective knowledge. It may be said with quite a good degree of precision that India was the only country where knowledge was systematized and where provision was made for its imparting at the highest level in remote times. Whatever the discipline of learning, whether it was chemistry, medicine, surgery, the art of painting or sculpture, or dramatics or principles of literary criticism or mechanics or even dancing, everything was reduced to a systematic whole for passing it on to the future generations in a brief and yet detailed manner. University education on almost modern lines existed in India as early as 800 B.C. or even earlier. The ideal of education has been very grand, noble and high in ancient India. Its aim, according to Herbert Spencer is the ‘training for completeness of life’ and the molding of character of men and women for the battle of life. The history of the educational institutions in ancient India shows how old is her cultural history. It points to a long history. In the early stage it is rural, not urban. British Sanskrit scholar Arthur Anthony Macdonell (1854-1930) author of A History of Sanskrit Literature says “Some hundreds of years must have been needed for all that is found” in her culture. The aim of education was at the manifestation of the divinity in men, it touches the highest point of knowledge. In order to attain the goal the whole educational method is based on plain living and high thinking pursued through eternity. As the individual is the chief concern and center of this Education, education also is necessarily individual. It is an intimate relationship between the teacher and the pupil. The relationship is inaugurated by a religious ceremony called Upanayana. It is not like the admission of a pupil to the register of a school on his payment of the prescribed fee. The spiritual meaning of Upanayana, and its details inpsired by that meaning, are elaborated in many texts and explained below in the proper place. By Upanayana, the teacher, “holding the pupil within him as in a womb, impregnates him with his spirit, and delivers him in a new birth.” The pupil is then known as Dvija, “born afresh” in a new existence, “twice born” (Satapatha Brahmana). The education that is thus begun is called by the significant term Brahmacharya, indicating that it is a mode of life, a system of practices. India has believed in the domestic system in both Industry and Education, and not in the mechanical methods of large production in institutions and factories turning out standardized articles. Our university system is, in many parts, in a state of disrepair…In almost half the districts in the country, higher education enrollments are abysmally low, almost two-third of our universities and 90 per cent of our colleges are rated as below average on quality parameters… I am concerned that in many states university appointments, including that of vice-chancellors, have been politicised and have become subject to caste and communal considerations, there are complaints of favouritism and corruption. India’s higher education system is the third largest in the world, after China and the United States. The main governing body at the tertiary level is the University Grants Commission (India), which enforces its standards, advises the government, and helps coordinate between the centre and the state. Accreditation for higher learning is overseen by 12 autonomous institutions established by the University Grants Commission. As of 2009, India has 20 central universities, 215 state universities, 100 deemed universities, 5 institutions established and functioning under the State Act, and 33 institutes which are of national importance. Other institutions include 16000 colleges, including 1800 exclusive women’s colleges, functioning under these universities and institutions. The emphasis in the tertiary level of education lies on science and technology. Indian educational institutions by 2004 consisted of a large number of technology institutes. Distance learning is also a feature of the Indian higher education system. Some institutions of India, such as the Indian Institutes of Technology (IITs), have been globally acclaimed for their standard of undergraduate education in engineering . The IITs enroll about 8000 students annually and the alumni have contributed to both the growth of the private sector and the public sectors of India. However the IIT’s have not had significant impact on fundamental scientific research and innovation. Several other institutes of fundamental research such as the Indian Association for the Cultivation of Science (IACS), Indian Institute of Science IISC), Tata Institute of Fundamental Research (TIFR), Harishchandra Research Institute (HRI), are acclaimed for their standard of research in basic sciences and mathematics. However, India has failed to produce world class universities both in the private sector (i.e. Harvard or Cambridge) or the public sector (i.e. UC Berkeley). The government of India is aware of the plight of higher education sector and has been trying to bring reforms, however, 15 bills are still awaiting discussion and approval in the Parliament. One of the most talked about bill is Foreign Universities Bill, which is supposed to facilitate entry of foreign universities to establish campuses in India. The bill is still under discussion and even if it gets passed, its feasibility and effectiveness is questionable as it misses the context, diversity and segment of international foreign institutions interested in India. One of the approaches to make internationalization of Indian higher education effective is to develop a coherent and comprehensive policy which aims at infusing excellence, bringing institutional diversity and aids in capacity building. Three Indian universities were listed in the Times Higher Education list of the world’s top 200 universities Indian Institutes of Technology, Indian Institutes of Management, and Jawaharlal Nehru University in 2005 and 2006. Six Indian Institutes of Technology and the Birla Institute of Technology and Science Pilani were listed among the top 20 science and technology schools in Asia by Asiaweek. The Indian School of Business situated in Hyderabad was ranked number 12 in global MBA rankings by the Financial Times of London in 2010 while the All India Institute of Medical Sciences has been recognized as a global leader in medical research and treatment. A study of 188 government-run primary schools found that 59% of the schools had no drinking water and 89% had no toilets. 2003?04 data by National Institute of Educational Planning and Administration revealed that only 3.5% of primary schools in Bihar and Chhattisgarh had toilets for girls. In Madhya Pradesh, Maharashtra, Andhra Pradesh, Gujarat, Rajasthan and Himachal Pradesh, rates were 12?16%. In fact, the number of secondary schools is almost half the number of upper primary schools available in the country. Modern education in India is often criticized for being based on rote learning rather than problem solving. BusinessWeek criticizes the Indian curriculum, saying it revolves around rote learning and ExpressIndia suggests that students are focused on cramming. In January 2010, the Government of India decided to withdraw Deemed university status from as many as 44 rations were not being kept in mind by the management of these institutions and that “they were being run as family fiefdoms”. The University Grant Commission found 39 fake institutions operating in India. Only 10% of manufacturers in India offer in-service training to their employees, compared with over 90% in China. 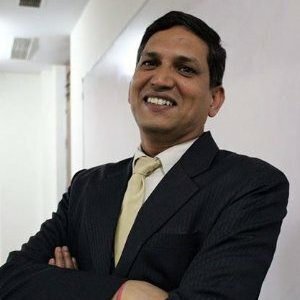 Ratnesh Dwivedi is a seasoned Academician, Author, Journalist, NASA Certified Educator and Board Member with 15 plus years in teaching and corporate. He has seen changing face of global politics and has written extensively on International Affairs. He serves on board of a dozen global firms ranging from Mining, Oil & Gas, Electricity, Energy,Cyber Security, Intelligence, Defence and Counter Terrorism having finest people from corporate and Gov on board. He holds membership with global organizations such as ECREA-Brussels, Mission Essential-Virginia, Global Ethics Network-Wash, American Astronomical Society-Wash, Internet Society-Virginia, CSIS-PONI-Wash, RTDNA-Wash, NSTA-Virginia, EIN News Desk, Bush Center, Texas and Foreign Correspondent Club, Delhi. He has authored six books. The Story of an Intern is a Reportage, The Cosmic Mask is a Space Fiction. Third and fourth are awarded academic books. His fifth book, US Intelligence and Cost of War talks about USA Military engagements in Middle East .His sixth book on manned and unmanned missions of NASA is in print. Ratnesh Dwivedi bears the honour of attending several high rated workshops of NASA and is awarded multiple certifications from NASA. He has set up Radio and TV Stations in India. He is widely published Author in the field of Media and Communication with 34 publications and presentations across globe with 15000 downloads, which itself is a record. He is Director-India and Professor with Global Institute for IT & Management, New York. He serves as Country Head with Advisors Energy Group NJ and Director with Synergence and Pro Energy Trade based in Chicago, all Energy and Financing companies. He is Manager-SMXP, Australia, a mining firm. He works as Country Head with Orion Global Technologies, UK. He is India Correspondent of Tuck Magazine. He is Institutional Representative with SECINDEF-Israel, an Intelligence agency and Global Representative with Opia and D-Fence, Israel.